Premenstrual Dysphoric Disorder (PMDD) is a severe form of PMS which often causes debilitating symptoms for women with the disorder. Symptoms of PMDD are extreme in the emotional and physical sense. In Ireland, PMDD is a widely unknown disorder. There is no government organisation or much medical information which you can get on the disorder, even from medical professionals. One of the few acknowledgements of the disorder in Ireland is through a Facebook support group called PMDD Awareness Ireland. Emotional symptoms of the disorder can include depression or extreme sadness, anxiety, severe mood swings, fatigue, loss in interest in everyday activities, change in sleep pattern and change in appetite. Physically, the disorder can cause extreme cramping, nausea, bloating, breast tenderness, headaches, joint and muscle pain. For a lot of women PMDD is hard to diagnose as the cause of it is relatively unknown. Experts think that it’s a result of the way your hormones interact with chemicals called neurotransmitters in the brain, according to WebMd. The levels of hormones produced by women with PMDD aren’t any different to women who don’t have the condition, their brain just reacts to normally-fluctuating hormones differently. While some women with PMDD can experience extreme stress, it’s likely that the PMDD is the cause of the stress, rather than the stress causing the condition. For some women in Ireland, the hardest part of living with PMDD is getting diagnosed in the first place. “Not a lot of people know about it at all. And there’s a real reluctance amongst Irish medical professionals to call it PMDD and many said it was just an American thing. It was very hard to get it taken seriously in the beginning,” said Connolly. Countless studies have gone into the causes, effects and different ways to treat PMS. But for sufferers of PMDD, information can be a lot harder to find. Research from studies such as one from the Journal of the Institute of Obstetrics and Gynaecology promote aerobic exercise and yoga as a pain reliever to PMS, as well as herbal remedies to cure symptoms of PMS and PMDD. But for women suffering with the severity of PMDD, strong medication and lifestyle changes are necessary to get through their day. “I’ve been put on almost everything for it, I’ve tried it all to try and relieve the pain. Every painkiller, every supplement you can think of I’ve been put on. Mine definitely have gotten better, I know now when i have period i just have to go home and get into bed right after work. I have a whole different lifestyle now because of it,” said Connolly. The reality about PMDD sufferers in Ireland is that awareness of the disorder is minimal. 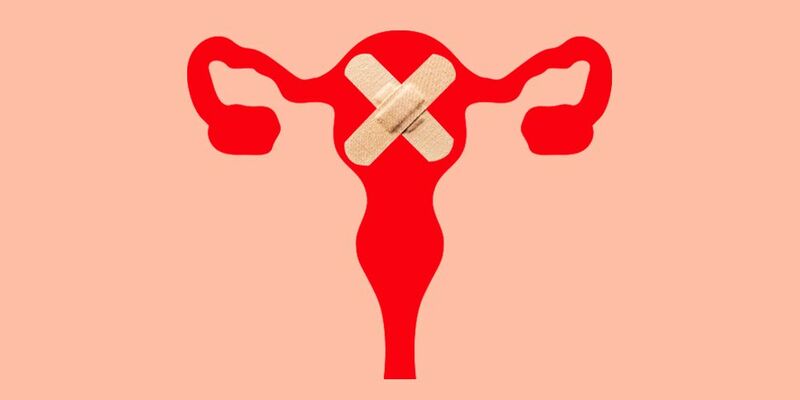 For a lot of women debilitated by it, diagnosis can be hard to achieve as even medical professionals are unaware or reluctant to treat the disorder.